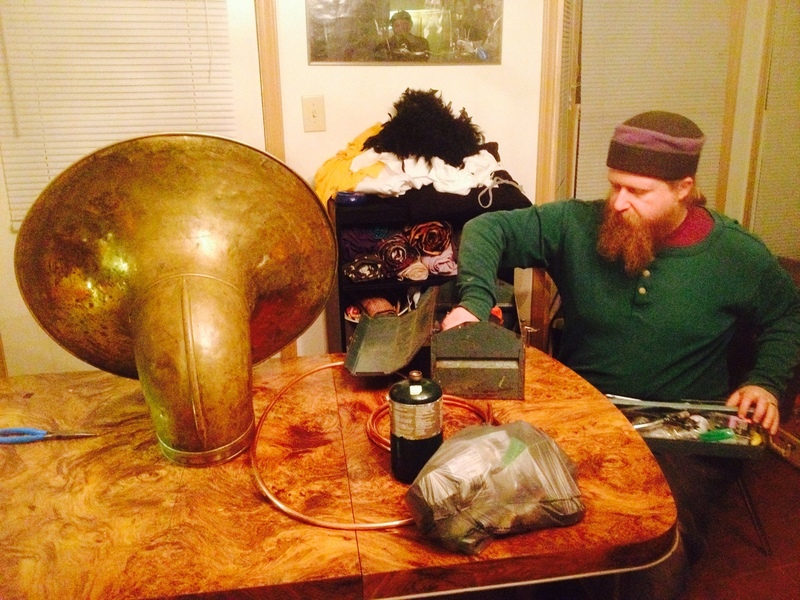 Years ago, when we first started to play North Carolina, I met propane flame effects artist, Beyond Joy. 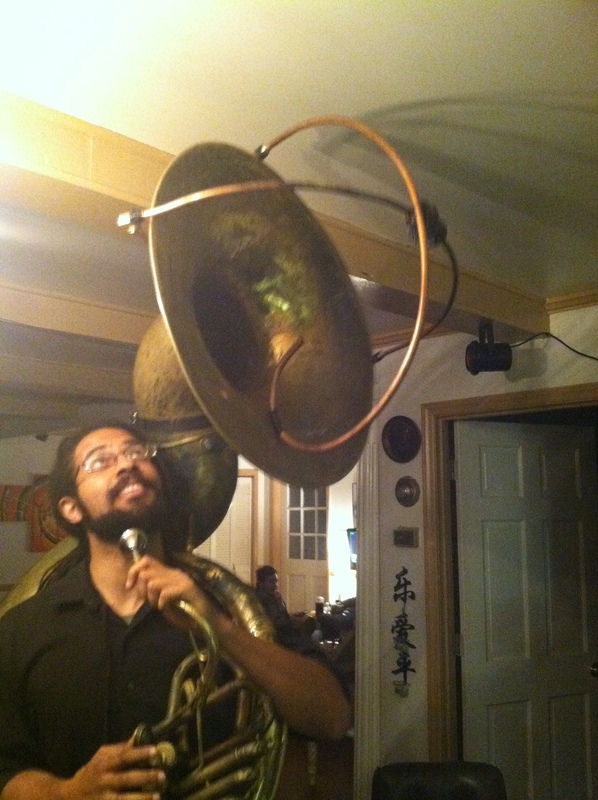 He wanted to set my sousaphone on fire. I was intrigued by the proposition so we began talking about design. It would have to be a simple to operate, mobile, and above all, safe. The system would have two major parts, a pilot light and a propane poofer. The pilot light stays lit the entire time the system is on, and provides the initial flame for a second, larger blast of propane. Once Beyond had a basic design, all we needed was a few days to build and test. Earlier this week, the stars aligned and we found some free time to work. 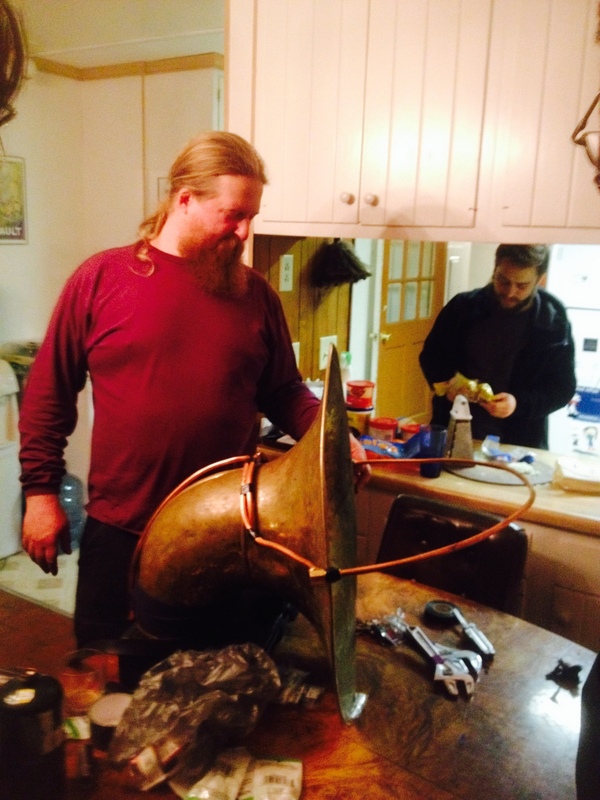 The first day, Beyond fabricated the pilot light using copper tubing and brass fittings. On the second day, Beyond fabricated the poofer. With both pieces together, it was time for a test. I say it was a rousing success. I cannot thank Beyond Joy enough. 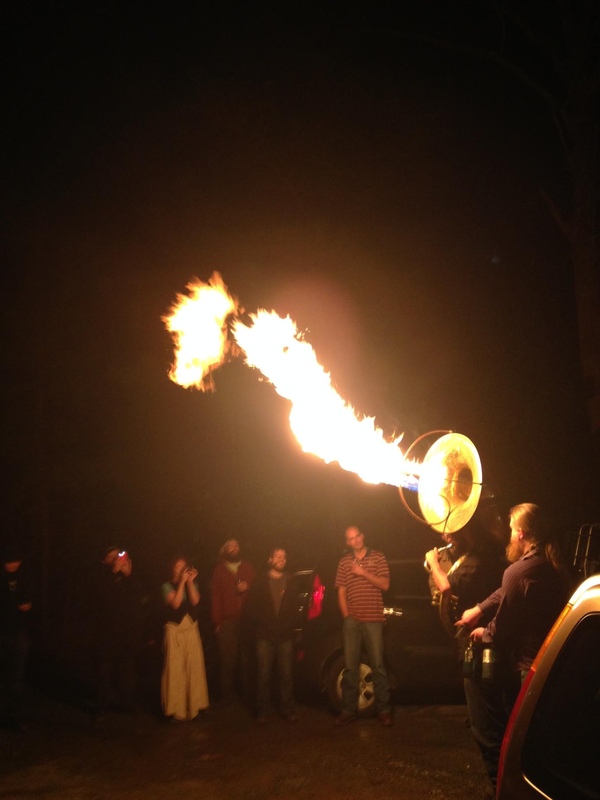 This fire tuba system is as beautiful as it is functional.